1917 George Graham enlisted in the Royal Naval Air Service at Crystal Palace on 12 August. On 15 September he was posted to Vendome and on 30 October to Cranwell from where he failed to graduate on 20 December 1917. 1918 Graham graduated successfully on 2 January [“Very good pilot indeed”] when he was promoted to Flight Sub Lieutenant. He was posted to Manston fighters on 29 January followed by 204 Squadron at Dunkirk on 16 February. 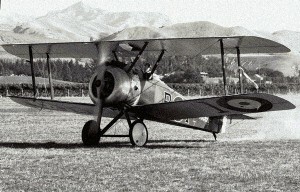 On the formation of the Royal Air Force on 1 April 1918 he became a Lieutenant in the new service. On 22 April 1918 he was admitted to Queen Alexandra Hospital, Dunkirk with “incised wound [to] scalp, abrasions, concussion”. The wound was not serious and he was discharged back to his unit on 1 May. “Since joining RNAS flown:- Bristol, Freiston(? ), Sop Pup, 1 ½ Strutter, Avro, BE2c, Curtiss, Caudron, Camel” – from Service Record. 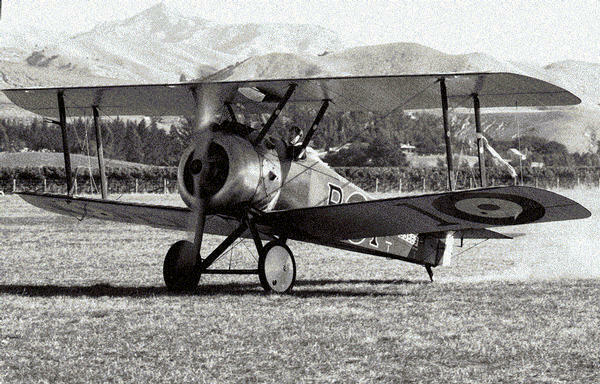 On 13 July Camel B6389 from 204 Squadron was posted missing. It was later reported that it had been involved in a collision with another Camel from the same squadron piloted by 2nd Lieut J H Mesham at 4 40pm. Graham’s aircraft was observed to break up and crash into the sea in flames. His body was subsequently washed ashore at Cadzaut [Cadzand, Netherlands?] and was buried there on 10 August 1918. After the War the IWGC transferred his body to Flushing. Burial Flushing (Vlissingen) Northern Cemetery, I. 13. 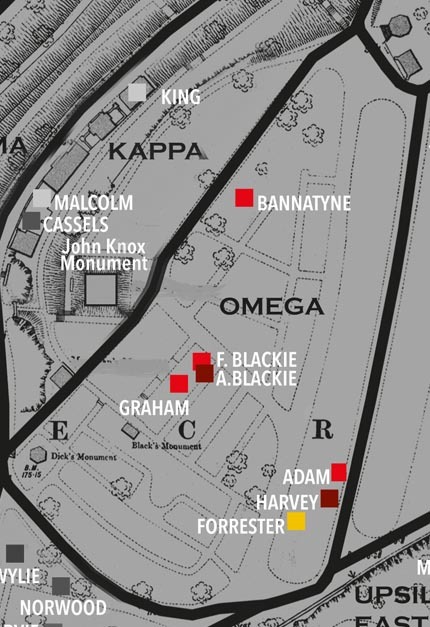 At present Graham’s remains rest in Flushing Northern Cemetery. However, according to CWGC records, his body was exhumed and moved there in October 1982 from Flushing New General Cemetery. According to his RAF Service Record his body was originally buried at Cadzaut [Cadzand, Netherlands?] and I have not found any information on when it was moved to Flushing New General Cemetery. 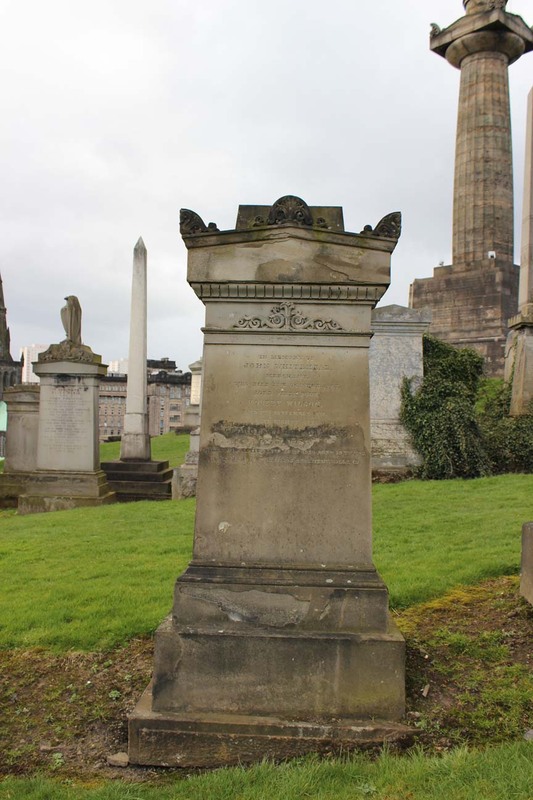 Son of Dr. James Gibson Graham, M.D., and Margaret Isabella Wilson Graham, of 17, Ashton Terrace, Dowanhill, Glasgow.